Born in Manchester, Johnny Marr initially found success playing guitar in The Smiths before going on to be a member of The Pretenders, Electronic, The The , The Cribs and Modest Mouse. He has also appeared on albums and toured with a number of other bands, as well as producing albums, including Haven’s “Between The Senses”. 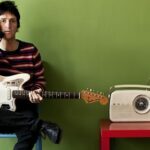 Johnny Marr: Governor Hindmarsh Hotel, Adelaide – live review"
Johnny Marr proves what all kinda suspected – seeing him play with his band is “far better than watching The Kardashians”. Michael Townsend reports back from his recent gig down under. 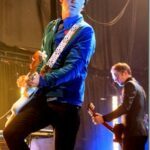 Watch Johnny Marr Cover Depeche Mode w/ Smiths b-side Single Details"
Merchandise: Totale Nite – album review"
The House of Love: Liverpool – live review"